There is no topic that attracts more attention-more energy and time and devotion- than love. Love, like most things in life, is full of patterns. And mathematics is ultimately the study of patterns. In her book The Mathematics of Love - and TEDxTalk of the same name -Dr. Hannah Fry takes the audience on a fascinating journey through the patterns that define our love lives, tackling some of the most common yet complex questions pertaining to love: What's the chance of us finding love? What's the chance that it will last? How does online dating work, exactly? When should you settle down? How can you avoid divorce? When is it right to compromise? Can game theory help us decide whether or not to call? 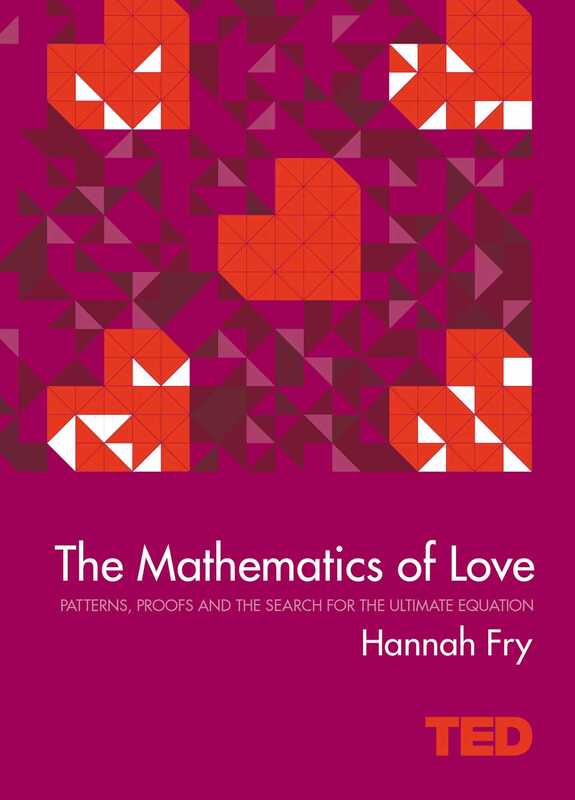 From evaluating the best strategies for online dating to defining the nebulous concept of beauty, Dr. Fry proves-with great insight, wit and fun- that maths is a surprisingly useful tool to negotiate the complicated, often baffling, sometimes infuriating, always interesting, patterns of love.